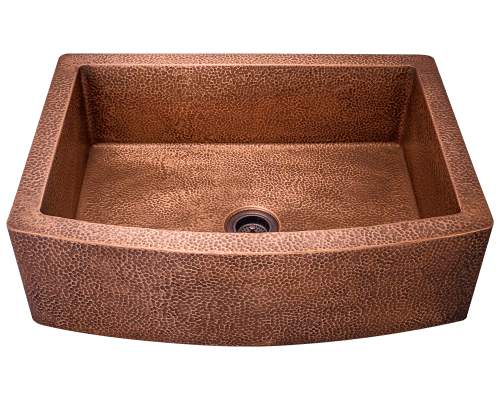 Copper is an amazing choice of material for either a kitchen or bathroom sink, as it is not only strong and sturdy, but it has a beautiful patina. 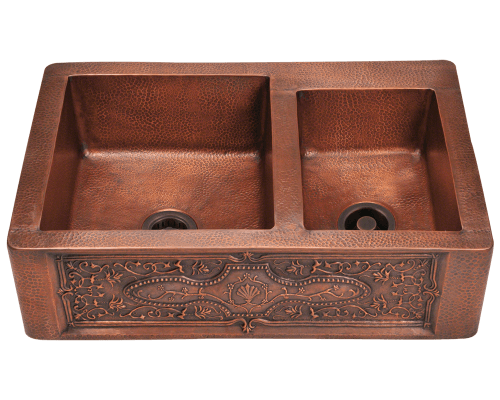 Patina is the process in which the otherwise shiny umber copper oxidizes into shades of matte green and brown. 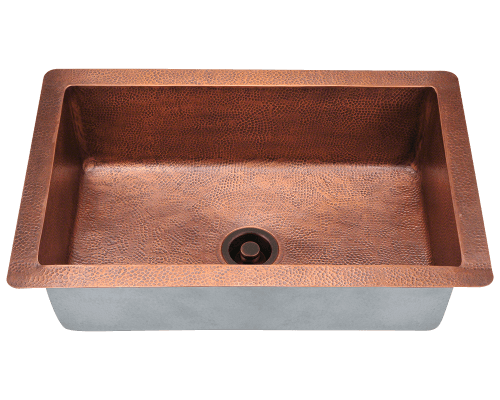 This process happens naturally over time, but to keep a consistent tone in your copper, regular copper sink care is a must. 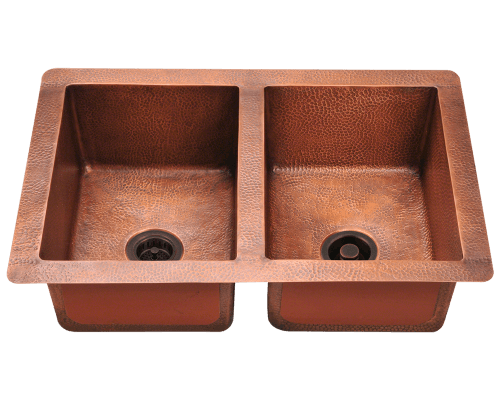 While some love a more natural variation of tone in their copper patina, some prefer a consistent color tone. Forget the abrasives like harsh chemicals, scrubbing pads, or steel wool. The best copper cleaner is a mild dish soap and a sponge or flannel rag. Specialized copper cleaners can be bought however, which will be gentle and effective tools for keeping an even patina finish. About once a week, gently wash your kitchen or bathroom sink, making sure to dry spots where water is collecting. 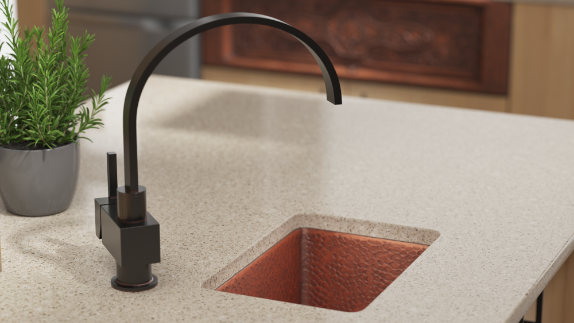 Certain substances that are commonly found in a kitchen or bathroom can strip away at the patina of copper kitchen sinks or copper bathroom sinks, revealing shiny spots underneath and causing patches. 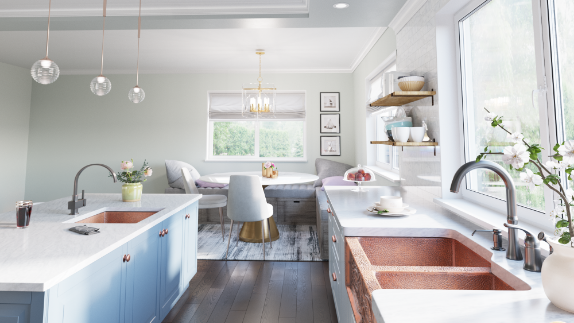 Acidic fruits like tomatoes and lemons, cooking oil, cosmetics, cleaning chemicals, and even your fingers can affect the patina of your copper. 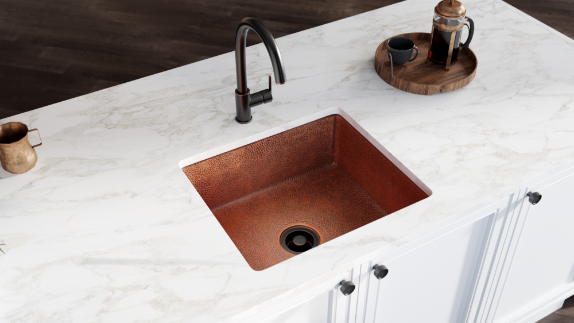 To avoid stripping your patina, keep your copper sink clean, and avoid letting food, cosmetics, and cleaners sit on the surfaces. 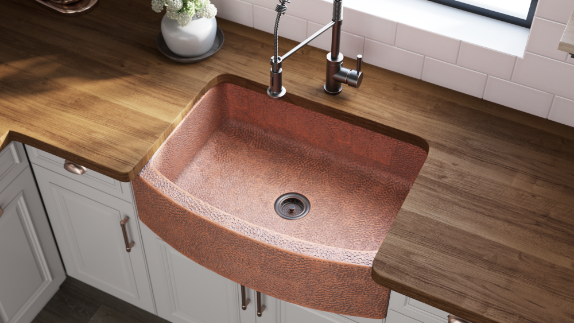 To restore a copper sink to its original copper color or to blend in a spot where patina has already been stripped away, gently scrub the patina with a plastic scrubber brush or old toothbrush. 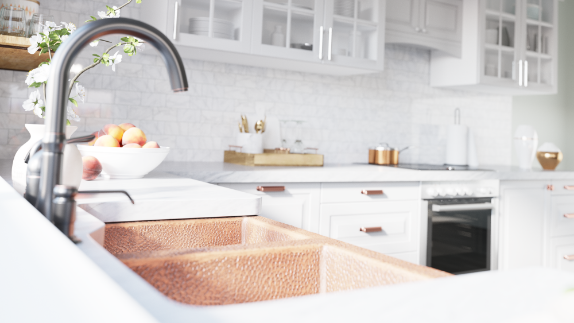 Always remember to dry off your copper after you are done washing up or cleaning, as pooled water can cause a brown or green spot to appear there, especially in areas with hard mineral water.